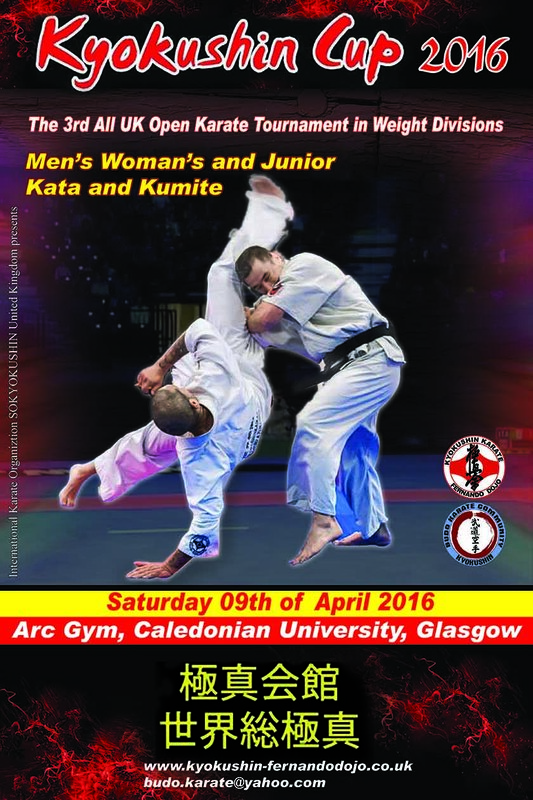 The Kyokushin Cup 2016 that will take place in Calédonien University Sports hall, Glasgow,UK on 9th of April 2016. It will be an pleasure and honor to see all of you present at this event. 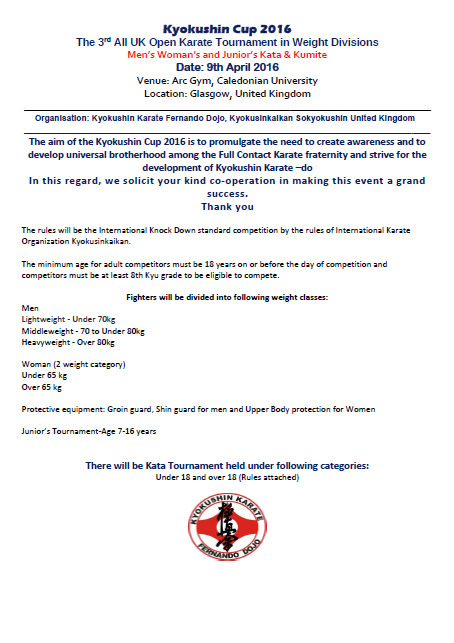 The minimum age for adult competitors must be 18 years on or before the day of competition and competitors must be at least 8th Kyu grade to be eligible to compete. Under 18 and over 18. Please see the attached application and other documents. If have any queries please do not hesitate to contact us.